Christians face lots of practical questions when it comes to life in the local church: How is the gospel displayed in our lives together? What are we supposed to do and believe? Different followers answer differently&mdash;even as they preach the same gospel! What should we think about such differences? A church&rsquo;s life, doctrine, worship, and even polity are important issues. Yet they are so rarely addressed. 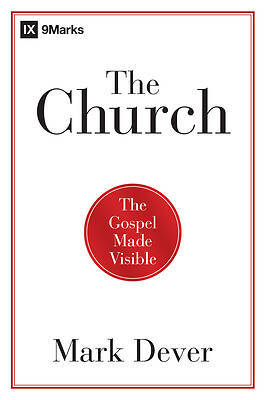 The Church is Mark Dever&rsquo;s primer on the doctrine of the church for all who see Scripture alone as a sufficient authority for the doctrine and life of the local church. He explains to the reader what the Bible says about the nature and purpose of the church&mdash; what it is, what it&rsquo;s for, what it does. Indeed, Scripture teaches us about all of life and doctrine, including how we should assemble for corporate worship and how we&rsquo;re to organize our corporate life together. God has revealed himself by his Word. He is speak- ing to us, preparing us to represent him today, and to see him tomorrow! A congregation of regenerate members, fulfilling the responsibilities given to us by Christ himself in his Word, regularly meeting together, led by a body of godly elders, is the picture God has given us in his Word of his church.